It is no secret that we adore white kitchens. We wanted to give this kitchen a classic kitchen that was also a touch of modern. 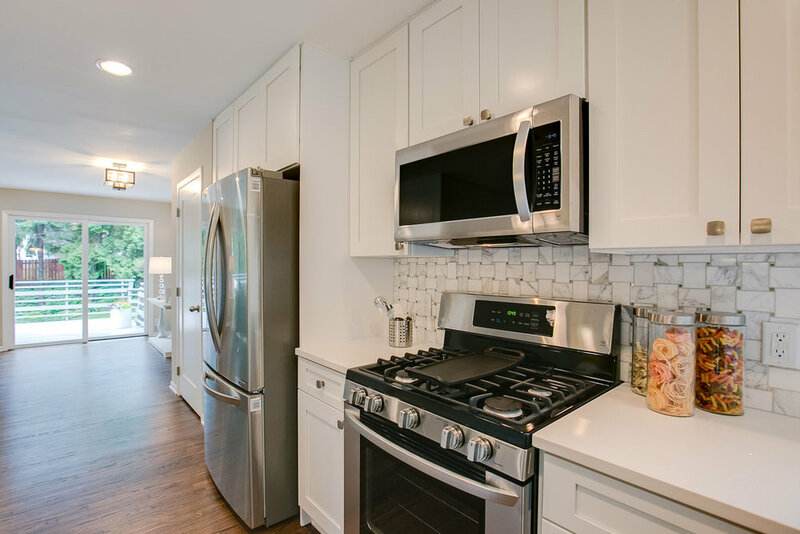 We did that by combining white shaker cabinets with white quartz countertops for a really clean look. We selected an awesome LG appliance package with a gas range that has our inner chef jumping for joy! The open feel and functional flow make this kitchen an absolute favorite of ours! 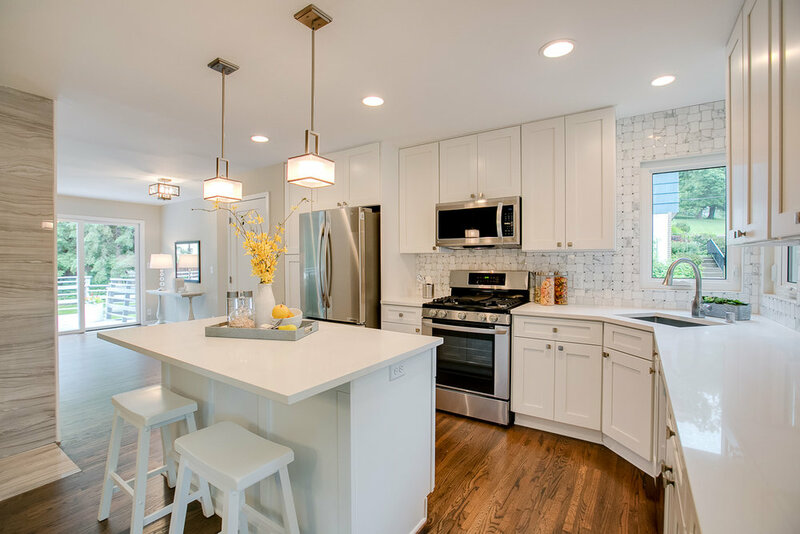 White shaker cabinets are a classic look that can't be beat! White quartz countertops keep the space looking bright and open. 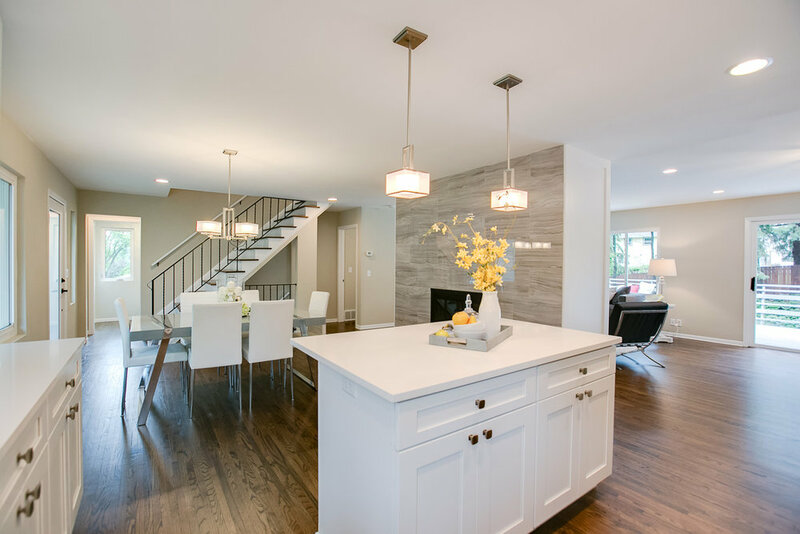 Pendant lighting is jewelry for a kitchen and the shape of these lights fit the style of the space perfectly! Our go-to sink! Deep, open, and easy to keep looking great! The square look of this faucet was exactly what we needed to keep our shapes consistent. Contractor packs of hardware keep the cost down while still giving you great quality hardware. These appliances are awesome! The has range is especially special!